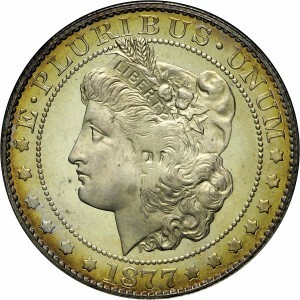 This pattern features the same Morgan Liberty head as the previous example displayed at HBCC-6133 and made famous by the Morgan silver dollar. 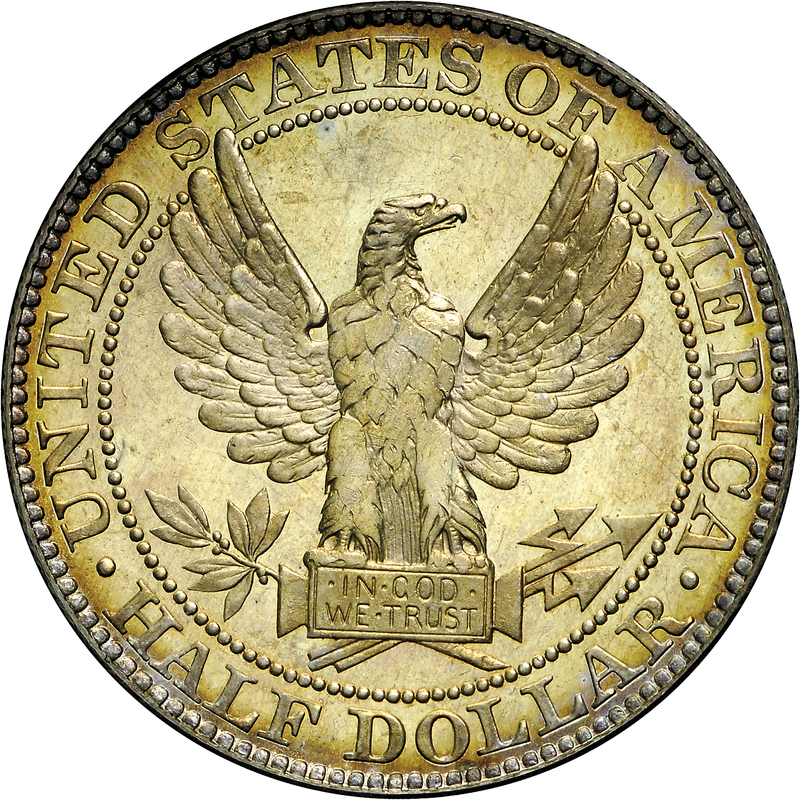 Just six examples of this rare half dollar pattern are known, this one pedigreed to the Dr. J. Hewitt Judd Collection, and plated in his pattern coinage reference. Few collectors have acquired more than a few 1877 pattern half dollars, if any at all. The fabulous Eliasberg Collection, for example, contained 204 patterns coins, with not a single example from this series. Abe Kosoff's Illustrated History, 1962, Lot 500; Lester Merkin's sale of June 26, 1970, Lot 646. Head of Liberty in beaded circle, E PLURIBUS UNUM arcs above, date below, six stars left, seven stars right. 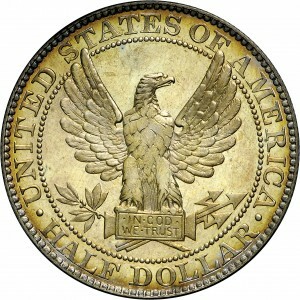 Standing eagle with spread wings at center of beaded circle, perched on cartouche that reads IN GOD WE TRUST on two lines, olive branch and three lightning bolt-like arrows in talons, UNITED STATES OF AMERICA HALF DOLLAR around. "Gifted to HBRF, 12/91. Half dollar. Morgan design."